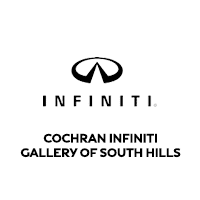 The car-shopping process is always made easy when you choose Cochran INFINITI Gallery of South Hills. Once you’ve settled on the perfect new INFINITI SUV, used INFINITI coupe or Certified Pre-Owned INFINITI sedan, it’s time to meet with the INFINITI finance experts at our INFINITI dealership in Pittsburgh, PA.
At our INFINITI finance center, we’ll help you get the INFINITI lease or loan you want. We work with a variety of credible lenders to ensure you leave with a financial solution you’re comfortable with. Not sure if leasing or buying an INFINITI is better for you? The team at the Cochran INFINITI Gallery of South Hills finance center can explain buying vs. leasing a new INFINITI and help you choose the right path. Plus, we always offer new INFINITI QX60 lease offers and INFINITI Q50 finance specials that can help you save big on your favorite luxury cars and SUVs!